All three of these schools were built in the late 1940s and early 1950s. Bergvliet was formerly a large farm owned by Simon van der Stel. The original farmhouse of Cape Dutch design still stands on a large property on the Western border of Bergvliet. The Bergvliet Farm, as it is known, is a very beautiful place with a small natural pond which is also a tiny bird sanctuary. The farm is also a favorite dog walking and running location. 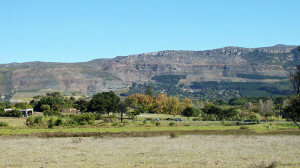 The original farm was made into a residential suburb for returning South African servicemen from World War II. Next door to Bergvliet, Meadowridge in a way borrows a little from all its neighbouring suburbs, but has developed a personality of its own. Meadowridge is a leafy suburb with plenty of open spaces and parks and several great views of the Constantiaberg Mountains. The lifestyle here is sedate and easygoing.